Table of Contents Next: Larkin, Claude A. The U.S. Navy gave this designation to the ships of the Alaska class, which were sometimes erroneously described as battle cruisers. This type was developed to counter a supposed Japanese equivalent that existed only in the minds of certain American naval intelligence officers. 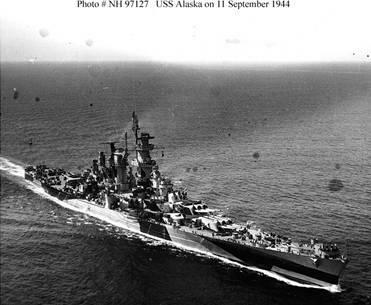 The Alaskas served no particularly good purpose in the war, since there was nothing they could do that an Iowa could not do better at a similar cost.